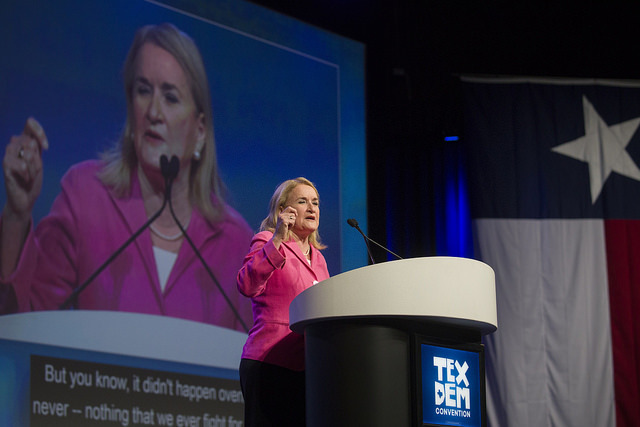 This file photo shows Texas State Senator Sylvia Garcia speaking at the 2018 Texas Democratic Convention in Fort Worth, Texas. The dispute over her intent to resign continues. The dispute over State Senator Sylvia Garcia’s intent to resign continues. Weeks ago, Garcia, who is a Democrat, sent a letter to Texas Governor Greg Abbott announcing her intent to resign effective January 2. She wanted Abbott to call a special election to fill her Senate seat and have it coincide with the regular November election. However, instead of writing a new letter, Garcia’s camp asked Harris County Clerk Stan Stanart to call the special election, and threatened to sue him if he didn’t do it. Stanart, who is a Republican, responded Tuesday through a statement. He said that, after consulting with the Texas Secretary of State and Harris County’s legal department, everyone is in agreement that he doesn’t have the authority to call elections. Stanart alleged Garcia is intentionally wording her resignation letter so it won’t go into effect until January 2, when she’d qualify for a bigger state pension. Garcia’s attorney has previously stated that her pension has nothing to do with it.